The 1st Special Operations Wing is a successor organization of the 16th Pursuit Group, one of the 15 original combat air groups formed by the Army before World War II. The 1st SOW mission focus is unconventional warfare: counter-terrorism, combat search and rescue, personnel recovery, psychological operations, aviation assistance to developing nations, "deep battlefield" resupply, interdiction and close air support. The wing has units located at Hurlburt Field, Florida, Eglin Air Force Base, Florida, and Nellis Air Force Base, Nevada. The wing's core missions include aerospace surface interface, agile combat support, combat aviation advisory operations, information operations, personnel recovery/recovery operations, precision aerospace fires, psychological operations dissemination, specialized aerospace mobility and specialized aerial refueling. The 1st SOW also serves as a pivotal component of AFSOC's ability to provide and conduct special operations missions ranging from precision application of firepower to infiltration, exfiltration, resupply and refueling of special operations force operational elements. In addition, the 1st SOW brings distinctive intelligence capabilities to the fight, including intelligence, surveillance and reconnaissance contributions, predictive analysis, and targeting expertise to joint special operations forces and combat search and rescue operations. The wing's motto of "Keeping the Air Commando promise to provide reliable, precise Air Force special operations air power... Any Time, Any Place," has repeatedly shown to be true since the 11 September 2001 terrorist attacks. MH-53 Pave Lows responded almost immediately to support relief efforts in New York City and Washington, D.C. Since the Global War on Terrorism began in October 2001, 1st SOW aircraft have flown more than 25,000 combat sorties, amassing more than 75,000 combat hours. The wing has also deployed more than 8,500 personnel to 16 geographic locations around the world. The continued high operations tempo of the 1st SOW truly put the Air Commandos assigned here at the "tip of the spear." The unit's current emblem was approved on 6 June 1963. The 16th Pursuit Group's emblem was approved in 1934. It has four lightning bolts—representing the four assigned squadrons—depicting destruction from the sky. The beginnings of the 1st Special Operations Wing can be traced to the authorization by the Army Air Service of the 16th Pursuit Group on 24 March 1923 as part of the United States Army Panama Department at Albrook Field, Canal Zone. The unit, however, was not activated until 1 December 1932. The 16th Pursuit Group spent its entire existence in the defense of the Panama Canal. The Group was progressively redesignated, in keeping with the changes sweeping through the Army Air Corps, becoming first the 16th Pursuit Group (Interceptor) in 1939 and finally the 16th Fighter Group in 1942. It was disbanded in the Canal Zone on 1 November 1943. As the U.S. prepared for World War II in 1940–1941, the 16th Pursuit Group, as of 1939 could count only 22 Curtiss P-36A Hawks on hand as of 1939, although these were the best fighter aircraft to be had at the time (in addition, Group Headquarters had two Northrop A-17's and two North American BC-1's). Additionally, as of February 1939 the Group was shown on Order of Battle documents with 10 Douglas B-18's, but these belonged to its 44th Reconnaissance and 74th Attack Squadrons, which were assigned to the Group at the time (the 44th Recon Squadron changed its status from "Assigned" to "Attached" on 1 February 1940, and finally being transferred entirely to the 9th Bomb Group 20 November, to whom it was also attached). In June 1941, relief for the P-36A's arrived in the form of 6 Curtiss P-40B's and 64 P-40C's, although, though these were split between the 16th and 32nd Pursuit Groups (the 16th got 32 P-40C's). These new aircraft arrived not a moment too soon, because as of April and May 1941 not fewer than 17 of the Groups P-36A's were either unserviceable or awaiting deposition due to either a lack of parts or as a result of the hard use they had endured during the intense training program then ongoing. With the arrival of the P-40's, morale improved dramatically, and the Group headquarters added a rare Sikorsky OA-8 to its roster for rescue and communications duties, and had lost one of its A-17's and one BC-1 by August, at which time all remaining P-36A's were transferred to the newly formed 32d Pursuit Group. As of the outbreak of war in December 1941, the Group had 20 serviceable P-40C's (plus five others awaiting disposition and three unserviceable – two from the 24th Pursuit Squadron and one from the headquarters squadron (HHS), 41-13498) but 10 new P-40E's had arrived, although one of these was promptly crashed. One other P-40C didn't have a prop, and all elements of the Group were dispersed at Albrook Field. By mid-January 1942, it was found expedient to send a detachment of the Headquarters to Borinquen Field, Puerto Rico to liaise with the VI Interceptor Command headquartered there, and detachments of six P-40C's were also quickly moved to Atkinson Field, British Guiana and Zandery Field, Dutch Guiana, to provide local air defense for the other elements stationed at those remote bases for Ferrying Command. Besides these, the Group had 23 P-40C's, eight P-40E's and 14 of its former P-36A's back at Albrook. As the squadrons of the group moved through their various deployments from the start of the war on, the group headquarters became less and less important in day-to-day operations and, finally, on 17 January 1943, the Group Headquarters was moved from Albrook to La Joya Auxiliary Airdrome No. 2 to attempt to get the men assigned at Group back into the midst of "field" operations that were being endured by the subordinate squadrons. In actuality, the Group was disbanded on 31 October 1943, at which time the HHS still had a solitary Curtiss P-36A assigned. The Command and Control responsibilities of the surviving former Squadrons of the Group then came under the umbrella of the XXVI Fighter Command. 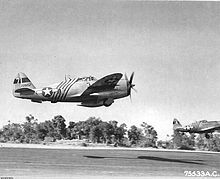 P-47 Thunderbolts of the 1st Air Commando Group, 10th Air Force, taking off. Republic P-47D-23-RA Thunderbolt, AAF Ser. No. 42-28152, in foreground exhibits the diagonal fuselage identification stripes that were unique to 1ACG aircraft. The next unit in the lineage of the 1 SOW is the 1st Air Commando Group, which inherited the history and lineage of the 16th Fighter Group. President Franklin D. Roosevelt, amidst the Quebec Conference in August 1943, was impressed by Brigadier Orde Wingate's account of what could be accomplished in Burma with proper air support. To comply with Roosevelt's proposed air support for British long range penetration operations in Burma, the United States Army Air Forces created the 5318th Air Unit to support the Chindits. In March 1944, they were designated the 1st Air Commando Group by USAAF Commander General Hap Arnold. Arnold chose Colonel John R. Alison and Colonel Philip Cochran as co-commanders of the unit. Alison was a veteran flight instructor of P-40 aircraft, and gained renown as a pilot with Major David Lee "Tex" Hill's 75th Fighter Squadron, part of Col Robert Lee Scott, Jr.'s 23d Fighter Group, the USAAF successor of the AVG's famed Flying Tigers in the China-Burma-India Theater. General Claire Lee Chennault lobbied to Arnold, who knew Alison from service at Langley Field, suggesting Alison be given the new command. Cochran was a decorated P-40 veteran pilot from the North African Campaign noted for his unconventional aerial tactics. As a result, the 5318th Provisional Air Unit was formed in India in late 1943. As a miscellaneous unit, the group was comprised until September 1944 of operational sections (rather than units): bomber; fighter; light-plane (and helicopter); transport; glider; and light-cargo. The 1st Air Commando Group consisted of a squadron of 30 A-model P-51 Mustangs led by Lt. Col. Grattan M. "Grant" Mahony, a squadron of 12 B-25H bombers led by Lt. Col. Robert T. Smith, 13 C-47 air transports led by Major William T. Cherry, Jr., 225 Waco CG-4A military gliders led by Captain William H. Taylor, Jr., and 100 L-1 and L-5 Sentinel liaison aircraft led by Major Andrew Rebori and Lt. Col. Clinton B. Gaty. The group tested the United States' first use of a helicopter in combat, six Sikorsky R-4s led by Lt. Col. Clinton B. Gaty, in May 1944. Please be assured that that we will go with your boys any place, any time, anywhere. The unit was redesignated the 1st Air Commando Group on 25 March 1944. It provided fighter cover, bomb striking power, and air transport services for the Chindits (Wingate's Raiders), fighting behind enemy lines in Burma. Operations included airdrop and landing of troops, food, and equipment; evacuation of casualties; and attacks against enemy airfields and lines of communication. 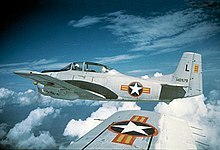 The 1ACG started receiving better-performing P-51B Mustangs in April 1944. They converted from P-51 Mustang to D-Model P-47 Thunderbolt fighters by September, 1945. The unit eliminated its B-25 Mitchell bomber section in May 1944. In September 1944, after the original unit was consolidated with the headquarters component of the new establishment (also called 1st Air Commando Group), the sections were replaced by a troop carrier squadron, two fighter squadrons, and three liaison squadrons. The group continued performing supply, evacuation, and liaison services for allied forces in Burma until the end of the war, including the movement of Chinese troops from Burma to China in December 1944. It also attacked bridges, railroads, airfields, barges, oil wells, and troop positions in Burma; and escorted bombers to Burmese targets, including Rangoon. Switched back to P-51 Mustangs (D-models) in January 1945. Left Burma in October and inactivated in New Jersey in November 1945. On March 15, 1945, 40 P-51D Mustangs armed with drop tanks attacked Don Muang airfield, which harbored little more than 100 Japanese aircraft. At 1:30 PM (1330 military time), the Mustangs strafed every aircraft in sight, and destroyed at least 50% of the aircraft there. More Japanese aircraft that managed to takeoff were shot down and destroyed. On April 9, 1945, a second attack was launched with 33 Mustangs total. Anti-Aircraft fire was heavy, and three Mustangs were shot down. During their brief (less than two-year) combat operations in the China Burma India Theater, the 1ACG accomplished a number of "firsts." Their first joint operation with the Chindits--Operation Thursday—was the first invasion of enemy territory solely by air, and set the precedent for the glider landings of Operation Overlord associated with the Normandy Landings on D-Day. They also used helicopters in combat for the first time, executing the first combat medical evacuations. They pioneered the use of air-to-ground rockets. These firsts and others had a lasting effect on how air operations would directly support ground operations. In April 1961 General Curtis Lemay directed HQ Tactical Air Command to organize and equip a unit to train USAF personnel in World War II–type aircraft and equipment; ready surplus World War II-era aircraft for transfer, as required, to friendly governments provide to foreign air force personnel in the operation and maintenance of these planes develop/improve: weapons, tactics, and techniques. In response to Lemay's directive, on 14 April 1961 Tactical Air Command activated the 4400th Combat Crew Training Squadron (CCTS) at Hurlburt Field, Florida. The provisional unit had a designated strength of 124 officers and 228 enlisted men. The 4400th CCTS consisted of World War II aircraft: 16 C-47 transports, eight B-26 bombers, and eight T-28 fighters. The declared mission of the unit would be to train indigenous air forces in counterinsurgency and conduct air operations. The 4400th CCTS acquired the logistics code name "Jungle Jim," a moniker that rapidly became the nickname of the unit. As the military conditions in South Vietnam continued to deteriorate, United States Secretary of Defense Robert S. McNamara actively began to consider dispatching United States military forces to test the utility of counterinsurgency techniques in Southeast Asia. In response, Air Force Chief of Staff General Curtis LeMay pointed out that the 4400th was operationally ready and could serve as an Air Force contingent for that force. On 11 October 1961, President John F. Kennedy directed, in NSAM 104, that the Defense Secretary "introduce the Air Force 'Jungle Jim' Squadron into South Vietnam for the initial purpose of training Vietnamese forces." The 4400th was to proceed as a training mission and not for combat at the present time. "Jungle Jim" was a code name and nickname of the original 4400th CCTS and Air Commandos. Members wore an Australian-type green fatigue slouch hat in the style Johnny Weissmuller wore in the Jungle Jim films. The mission was to be covert. The commandos were to maintain a low profile in-country and avoid the press. The aircraft were painted with Republic of Vietnam Air Force insignia, and all pilots wore plain flight suits minus all insignia and name tags that could identify them as Americans. They also sanitized their wallets and did not carry Geneva Convention cards. Those Air Commandos who served with the Raven Forward Air Controllers in the Secret War in Laos from 1966 to 1974 would continue this sanitized routine during their service there. Elevated to group level as 4440th Combat Crew Training Group, 20 March 1962. The provisional TAC group was replaced by AFCON 1st Air Commando Wing in Apr 1962 and assumed air commando operations and training responsibility. Trained United States and Republic of Vietnam Air Force aircrews in the United States and South Vietnam in unconventional warfare, counter-insurgency, psychological warfare, and civic actions throughout the Vietnam War. Between 11 January and 30 June 1974, the USAF Special Operations Force and 1st Special Operations Wing merged their operations, and on 1 July 1974, concurrent with its redesignation as the 834th Tactical Composite Wing, the wing assumed responsibility for operating the USAF Air Ground Operations School, which trained personnel in concepts, doctrine, tactics, and procedures of joint and combined operations until 1 February 1978, and the USAF Special Operations School, which trained selected American and allied personnel in special operations, until March 1983. Elements of the wing participated in the Operation Eagle Claw attempt in April 1980 to rescue U.S. hostages held in Tehran, Iran. Thereafter, continued to work closely with multi-service special operations forces to develop combat tactics for numerous types of aircraft and conduct combat crew training for USAF and foreign aircrews. Conducted numerous disaster relief; search and rescue; medical evacuation; and humanitarian support missions. Supported drug interdiction efforts in a coordinated program involving multiple US and foreign agencies, 1983–1985. Conducted airdrop and airlift of troops and equipment; psychological operations, close air support, reconnaissance, search and rescue, and attacks against enemy airfields and lines of communications in support of the rescue of US nationals in Grenada (Operation Urgent Fury), October to November 1983, and the restoration of democracy in Panama (Operation Just Cause), December 1989 to January 1990. Beginning in August 1990, the wing deployed personnel and equipment to Saudi Arabia for Operation Desert Shield/Storm. These forces carried out combat search and rescue, unconventional warfare, and direct strike missions during the war, including suppression of Iraqi forces during the Battle of Khafji, January 1991. Deployed personnel and equipment worldwide, performing combat search and rescue, and supporting contingencies, humanitarian relief, and exercises that included Bosnia-Herzegovina, Iraq, Kuwait, and Central America. Elements of the wing deployed to participate in Operation Provide Comfort in Iraq, 1991 to 1996 and Operation Deny Flight, Bosnia-Herzegovina, 1993 to 1995. It supported Operation Deliberate Force/Joint Endeavor, August to September 1995 and 14 to 20 December 1996, flying combat missions and attacking targets critical to Bosnian-Serb Army operations. Wing elements participated in operations Northern and Southern Watch in 1997 and again participated in combat operations in Desert Thunder, February to June 1998 and Desert Fox, 17 to 21 December 1998. It assumed an additional mission, supporting the Aerospace Expeditionary Forces in February 2000. In 2001 and 2002 the wing deployed elements to Afghanistan and Iraq and performed other "war on terror" combat operations. 4532d Combat Crew Training: 25 October 1967 – 15 July 1969. Detachment 2 deployed to Bien Hoa AB, South Vietnam (covername "Farm Gate"), November 1961 (Dates undetermined), placed under operational control of 2d Air Division. Detachment 2A would be the B-26 Invader unit; Detachment 2B would be the T-28 Trojan unit. ^ "GAO report on Special Operations Forces (FY2014) p.52" (PDF). gao.gov. July 2015. Retrieved 6 January 2018. ^ "1st Special Operations Wing". 1st Special Operations Wing Public Affairs. 4 March 2015. Retrieved 27 September 2017. ^ "95 Year Old Air Commando Legend Shares History with Today's Special Operators". Archived from the original on 4 November 2013. ^ "Remembering Colonel Philip G. Cochran". Archived from the original on 14 February 2012. ^ "Sikorsky R-4B Hoverfly". National Museum of the US Air Force. 20 April 2015. Retrieved 27 September 2017. ^ Young, Frank. "1st Air Commando, USAAF". Chindits special force Burma 1942-44. Retrieved 26 February 2016. ^ "Armed Forces: Operation Jungle Jim". Time. 29 June 1962. Archived from the original on 23 August 2013. Retrieved 21 April 2010. ^ The Ravens: The Men Who Flew in America's Secret War in Laos. pp. 7–9. ^ Hit My Smoke: Forward Air Controllers in Southeast Asia. pp. 113–114. ^ Haulman, Daniel L. (8 July 2015). "Factsheet 5 Expeditionary Airborne Command anc Control Squadron (PACAF)". Air Force Historical Research Agency. Retrieved 27 March 2017. Wikimedia Commons has media related to 1st Special Operations Wing.